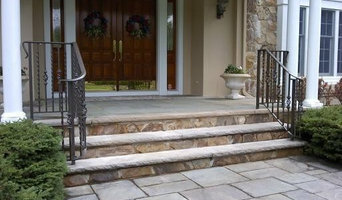 For over 40 years, E.H. Ironworks, Inc. Has been fabricating custom, intricate ornamental iron work, structural steel, and miscellaneous metal in the tri-state area. We provide services to commercial and residential clients. Without ironworkers and their structural know-how, many of the great buildings of the world would never have come to be. 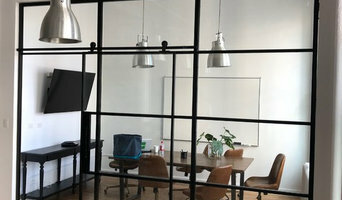 But most Bayonne homeowners are more likely to hire an ornamental or architectural ironworker, who crafts metal pieces that are visible on the exterior. From window frames to grates and balconies, from screens and fences to hardware, these pros shape iron into forms that are as decorative as they are functional. An ornamental ironworker fabricates bulk iron into the types of structures that a particular home calls for, then installs them onsite. Some of these pieces are mass produced, others custom crafted. Many ornamental ironworkers also have the design skills to fashion unique decorative components. 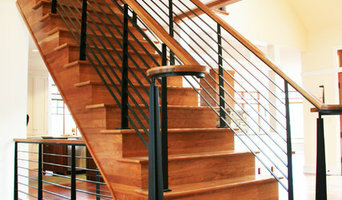 Ironworkers must be trained in safety to create elements such as railings and balconies that both satisfy a home’s aesthetic needs and meet Bayonne, NJ building codes. Here are some related professionals and vendors to complement the work of ironwork: Fencing & Gate Sales & Construction, Decks, Patios & Outdoor Enclosures, Siding & Exteriors. Find an ironworker on Houzz. 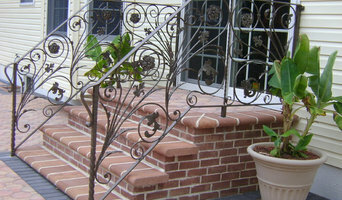 Narrow your search in the Professionals section of the website to Bayonne, NJ ironwork. You can also look through Bayonne, NJ photos to find examples of ironwork that you like, then contact the ironworker who fabricated them.